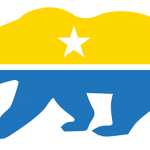 The California National Party was founded in 2015 with the aim of forging and supporting California-focused solutions to the issues that face our home. We are united behind a platform of economic growth that serves all our people, with protection of our rights, resources, wealth, and natural environment. While our long-term goal is complete political independence for California, our immediate aims are to fight for full access to housing, healthcare, and political representation for all Californians. To this end, we are currently seeking qualified status with the California Secretary of State. Click here to learn more about party qualification and voter registration. Until then, the California National Party intends to run candidates, especially at the local level, who will advance our policies and foster the strengthening of our California identity, all while working within our communities to make the lives of all Californians better today. Please join us in helping to build a better future for California! The rights, language, culture, and history of the individual must be respected and protected from intrusion by the state, as well as other individuals. All individuals have equal rights to choose how to live their own lives, and the social responsibility to accept the rights of all other individuals to do the same. Protection of civil rights of all Californians, regardless of gender, race, religion, sexuality, ethnicity, health, income, immigration status, or physical abilities. Support for increasing diversity in government, the workplace, educational institutions, and California culture. California politics should focus on improving the lives of Californians through infrastructure development, encouraging local economic growth, and protecting our land and people, instead of being ignored in favor of federal battles over which we have no effective voice. All public policy should be based on verifiable facts and evidence. Policy decisions should never be based in prejudice, to benefit special interests, or to support an ideological belief, whether conservative, liberal, or progressive. As important, all public policy will be based on caring for Californians as individuals as well as a society. California as a global economic power in technology, agriculture, and commerce can only continue with policies that foster economic growth, planning for the future rather than supporting a departing past. However, such growth must bring benefits to all Californians, with equal opportunities for all. In general, decisions should be made at the most local level possible to successfully solve the problem. While some issues require a national, or international, harmony of policy, many others are better left to representatives more directly accountable to local voters.